Book 12/25 in the 2011 Reading Challenge. Date completed: May 19, 2011. A friend recommended Tina Fey's memoir, Bossypants, to me. I needed something light-hearted and fun after reading Winter's Bone, and I happen to really enjoy Tina Fey, so I scooped this one up without being asked twice. I'm glad I did. This book was exactly what I needed. 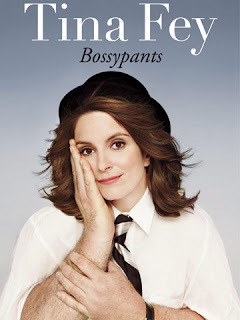 Bossypants covers Tina Fey's life from briefly touching on the childhood attack that resulted in the scar across her jaw line to her love of improv, experiences with Saturday Night Live, being the "bossypants" at 30 Rock, and parenting. This book threw me into fits of giggles and I was sad when it ended. I gave it a Goodreads rating of five stars. She's no Augusten Burroughs, but she is still absolutely wonderful and I can imagine reading this book again and again.